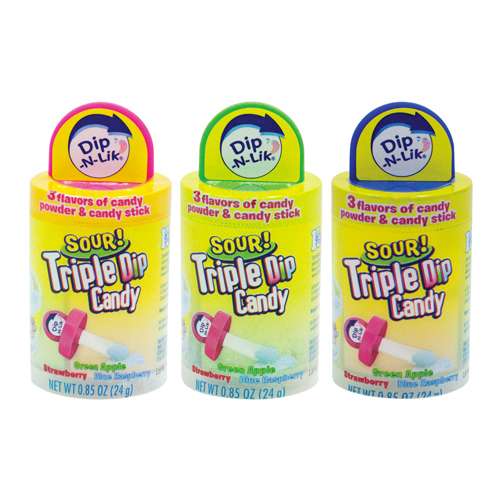 With Sour Triple Dip-N-Lik® you just dip and Lick...It's as easy as that! 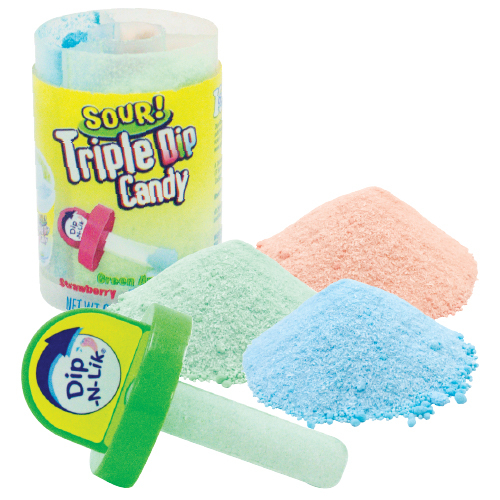 Lick the fruity candy stick and dip it into the sour dipping candy. 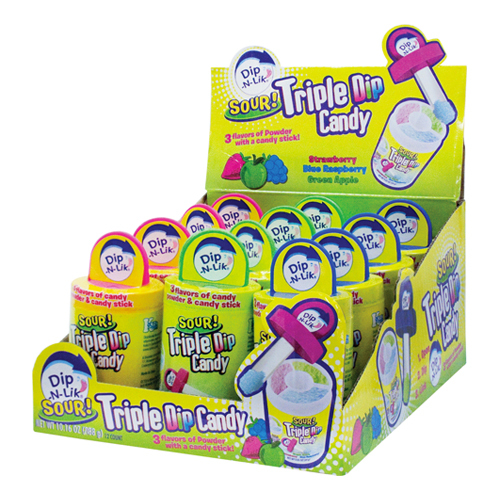 Enjoy all three flavors in the combo pack: Strawberry, Blue Raspberry & Green Apple.